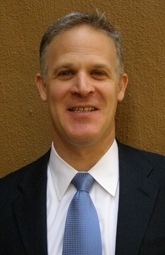 Adi Loebl, MD is Chief Operations Officer and Chief Medical Officer of the Ackerman Institute for the Family. He is a graduate of the Sackler School of Medicine/New York State American Branch located in Tel Aviv, Israel. Upon completion of medical school, Dr. Loebl returned to New York and completed his internship, residency and served as chief resident in the Montefiore Hospital Psychiatric Emergency Department in the Bronx. This was followed by a Geriatric Psychiatry Fellowship, also at Montefiore Medical Center. Dr. Loebl is dual board certified in Adult and Geriatric psychiatry by the American Board of Psychiatry and Neurology, Inc. and has taken advanced training in family therapy at the Ackerman Institute for the Family and Albert Einstein College of Medicine. He teaches about the role of medication in family systems at Ackerman and teaches family and couple therapy to psychiatry residents at Montefiore Medical Center. In addition to his Ackerman post, he is also an Assistant Clinical Professor of Psychiatry at the Albert Einstein College of Medicine.